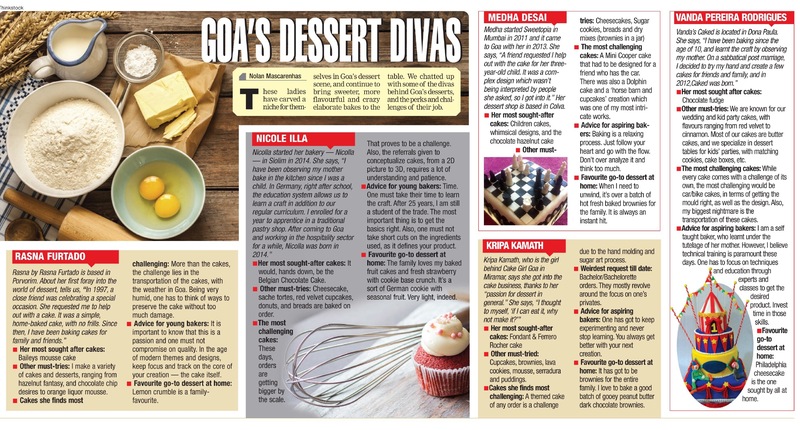 This is part of a series of articles written for Goa Times (Times of India) on people and happenings in and around Goa. This article features Home baking dessert divas and some of the delectable goodies they create. Click on the image to enlarge for a better read.